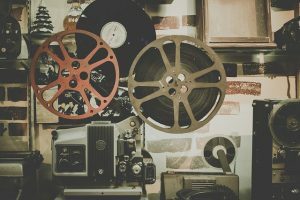 Come back to this blog post and choose a film to watch by following the links below. Once Queen of Punk, she has gone on to be the toast of the Paris cat-walks. This programme looks at the career of one of Britain‘s most innovative and idiosyncratic fashion designers and examines the way in which she draws on history, fetishism and street culture for her inspiration. Dutch film director/writer Van Gogh was murdered by an Islam extremist in 2004. The film is a remake of his original Blind Date. A married couple struggling to reconnect after the death of their daughter. They answer each other’s phony classified ads and begin an elaborate game of pretend on a series of blind dates. a sensory journey into the mesmerizing world of trance and ecstasy. In these rituals, Whirling Dervishes from Turkey, Orisha priestesses from Nigeria and Brazil, and shaman healers from the Kalahari and Korea, pulse to the same beat as thousands of young people at techno dance party in an Australian forest.